Home › Jack Hadley, Ph.D.
Jack Hadley, Ph.D., is a professor and senior health services researcher of health administration and policy at the George Mason University College of Health and Human Services. He is also the associate dean for finance and planning in the Office of the Dean. His research generally focuses on issues pertaining to the Medicare program, including provider payment, cost, and outcomes, and the costs and consequences of being uninsured. Dr. Hadley’s work has been published in Health Services Research, Inquiry, Journal of Health Economics, Medical Care Research and Review, the Journal of the American Medical Association, and the New England Journal of Medicine. Dr. Hadley received a Ph.D. in economics from Yale University, where he also received a master’s degree in economics. He received an undergraduate degree in economics from Brandeis University. As a long-standing HCFO grantee, Dr. Hadley has been a principal investigator on five HCFO grants. From 2007 through 2009, he led a project exploring the relationship between increased medical spending and the health outcomes of the elderly. He and his team ultimately found a positive and significant relationship between spending and health outcomes in this population. Their findings were published in Health Services Research in May 2011. During this same period, Dr. Hadley also served on another HCFO grant that examined how physicians react to variations in Medicare reimbursements rates, and how variation in those rates affects their treatment of fee-for-service Medicare beneficiaries. The research team found that higher reimbursement rates were associated with higher quantities of services supplied by physicians. Those findings were published in Inquiry in the winter of 2010. From 2005 through 2006, Dr. Hadley was the principal investigator on the HCFO-funded study that sought to understand the variation in spending from beneficiary to beneficiary in Medicare, and the main drivers of spending. The intention of that work was to help policymakers understand “unnecessary spending” in the Medicare system so they could reduce costs without harming beneficiaries. Dr. Hadley also served as the principal investigator on two HCFO grants during the 1990s. From 1994 through 1997, he worked on a project that examined contracting for tertiary care in managed care organizations, and from 1991 through 1993, he studied the Medicare Prospective Payment System and its relationship with efficiency, quality, and health outcomes. 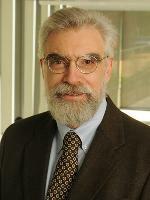 For more information on Dr. Hadley’s research visit his faculty page at George Mason University (http://chhs.gmu.edu/faculty-and-staff/directory/hadley).